Here we go again. It appears the numerous rumors regarding a third fight between former heavyweight champions Evander Holyfield and Mike Tyson may actually be true. 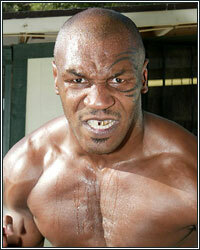 Sources close to the situation have informed us that Tyson-Holyfield III is indeed in the works. Although details are sketchy, the fight is said to be tentatively scheduled to take place this September. The Scottrade Center in St. Louis, Missouri has been targeted as a potential venue. As sad it may sound, Tyson-Holyfield III is STILL the most intriguing matchup that can be made in the heavyweight division.